This gallery is dedicated to the humble shunting locomotive. The workhorse of most yards, they have been decimated in recent years as more block trains mean less shunting. I have included Industrial shunters as well, as there is plenty of variety still in operation. 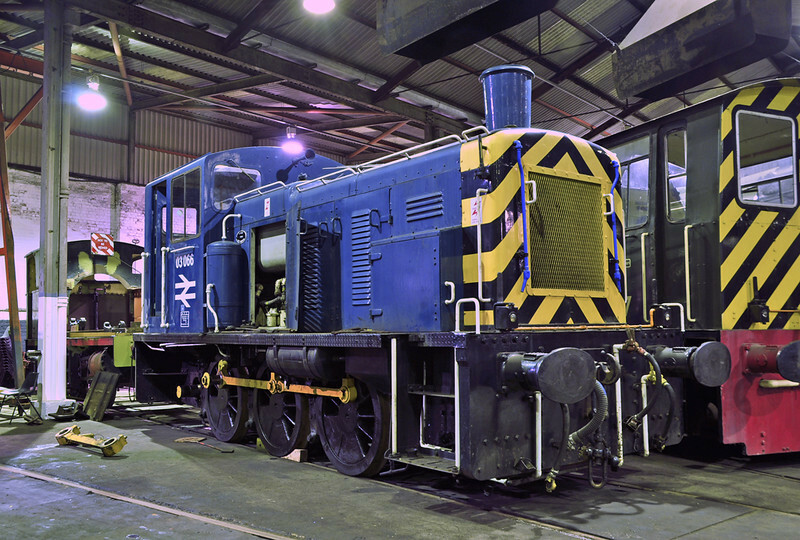 03066 undergoing repair in Barrow Hill Roundhouse 01/02/2013. Withdrawn from Gateshead depot in January 1988 she worked for a private company, before being purchased for preservation.